This is a reference I use with parents at teacher parent conferences. 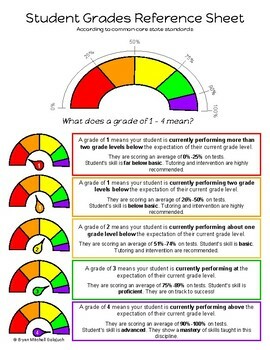 I make a copy for parents to explain their student's grades and the rational for that grade. This reference is in English on one side and Spanish on the other side. The grades referred to on this sheet are in accordance with the San Diego Unified School District current grading system.